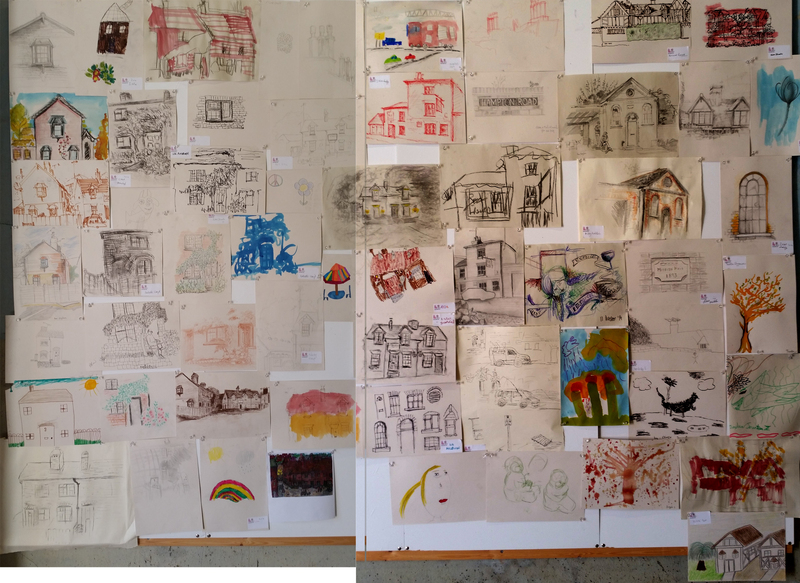 All the drawings we did in the two sessions of the Big Draw were exhibited last Sunday at City Arts. A few photos below if you could not make it. 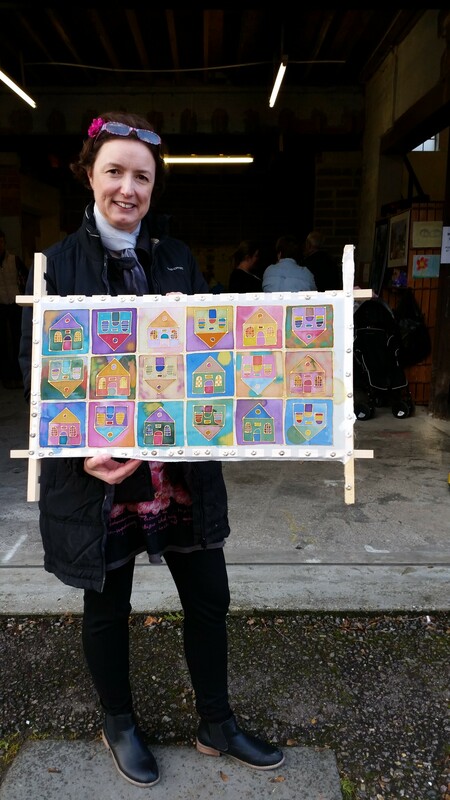 The participants enjoyed seeing the display, organised following the street “elevation” but grouping the same buildings drawn by different people together. We also had mini make and take activities which included printing cards, making a model of the chapel, making a mini book and doing photograms. 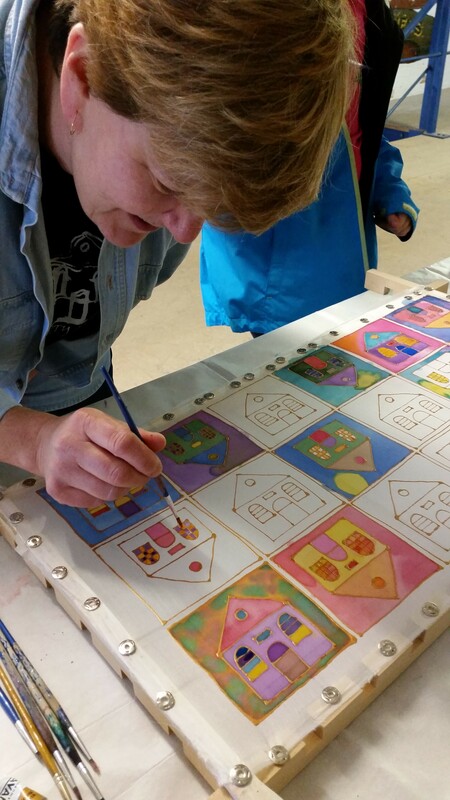 A group silk painting project lead by artist Helen Mortimer (based on her drawing of City Arts) took the fancy of young and old alike and we can see them here through the process and with the final piece.Thanks Helen and all your helpers!! 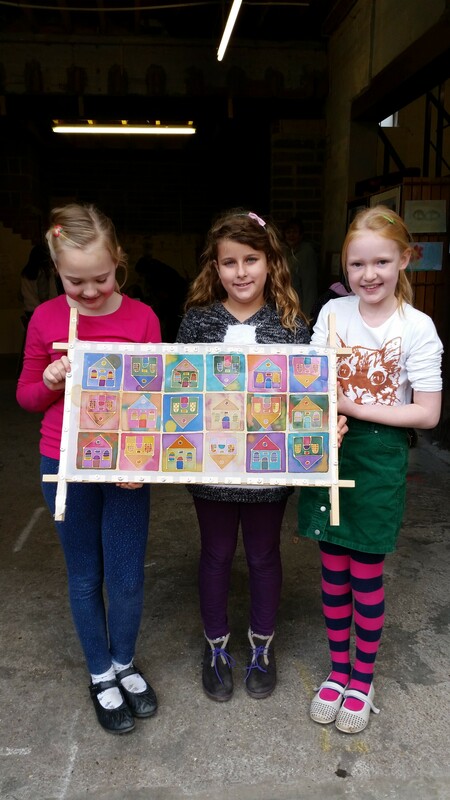 This entry was posted in Uncategorized and tagged art workshop, bigdraw, cityarts, community, drawing, event, kids art.